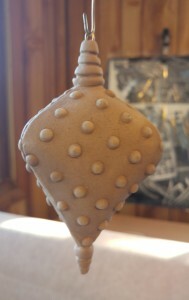 And another batch of holiday ornaments made by me & four of My Talented Friends. 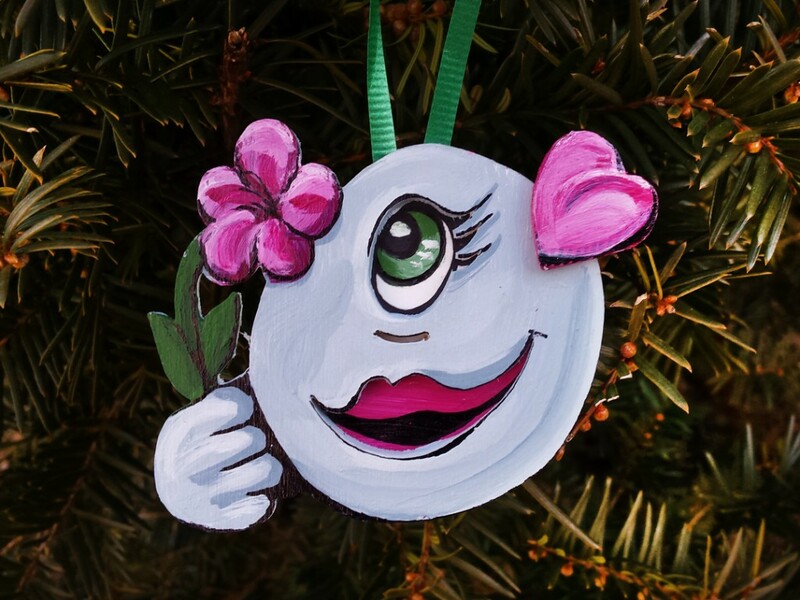 Remember, we’ve all signed-on for a Monthly Holiday Ornament Challenge. 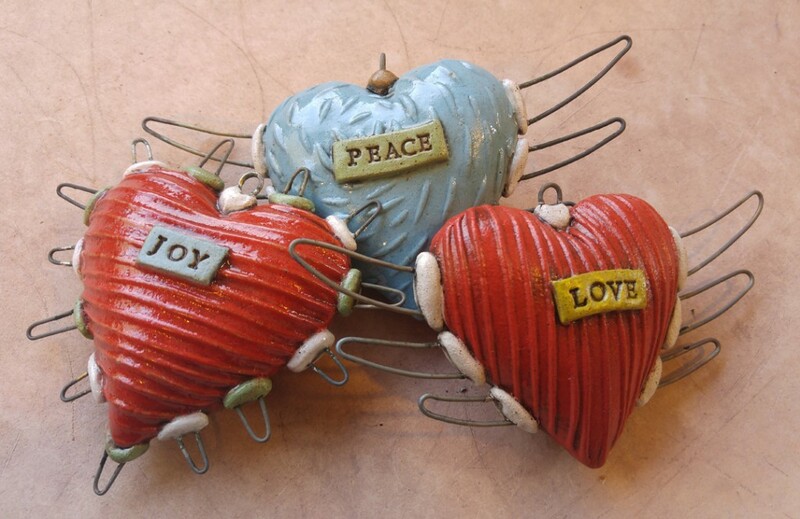 The plan is for each of us to make a new ornament each month of the year. We’re two months in… one sixth of the way!!! 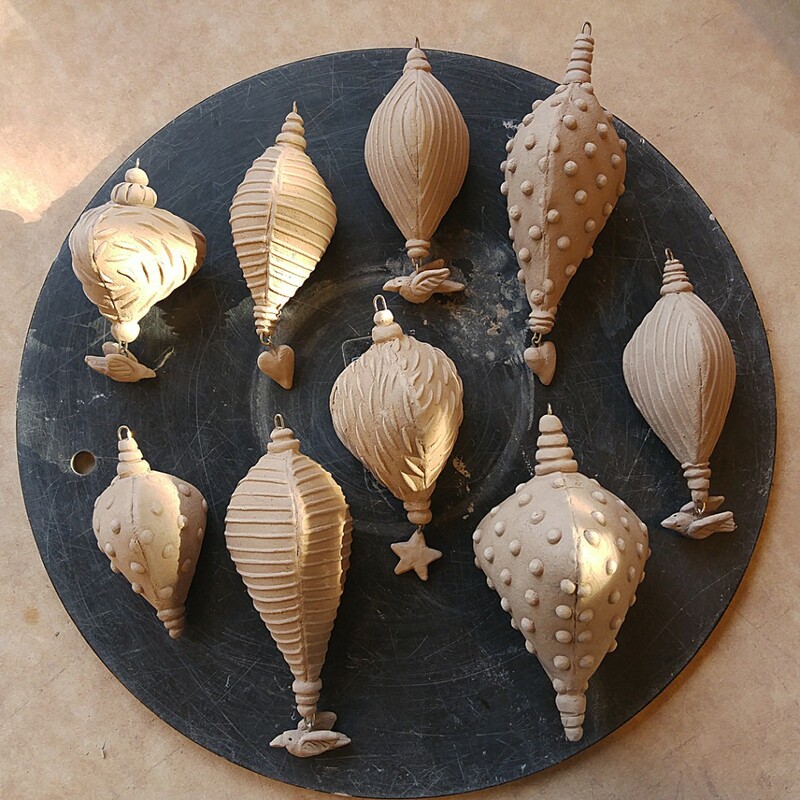 Cory embraces our second month of ornaments with a wonderful batch of textured & constructed ornaments. They’re amazing so far!!! And I LOVE them… so I’m sorry, but there may not be any of these left to share with anyone else after I buy them all from Cory!!! Ha!!! 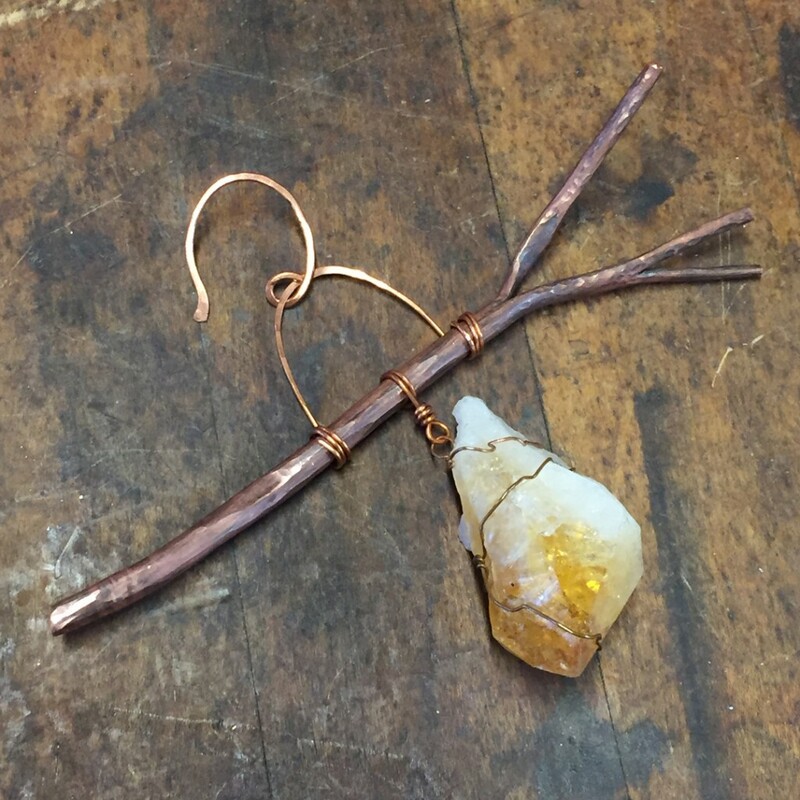 Some stylized wire-work and voila… another beautiful ornament by Miss Chapman. I’m sure this one will really glisten in the sun… or Christmas lights?! this time looking forward to Spring with that one ADORB-able eye! 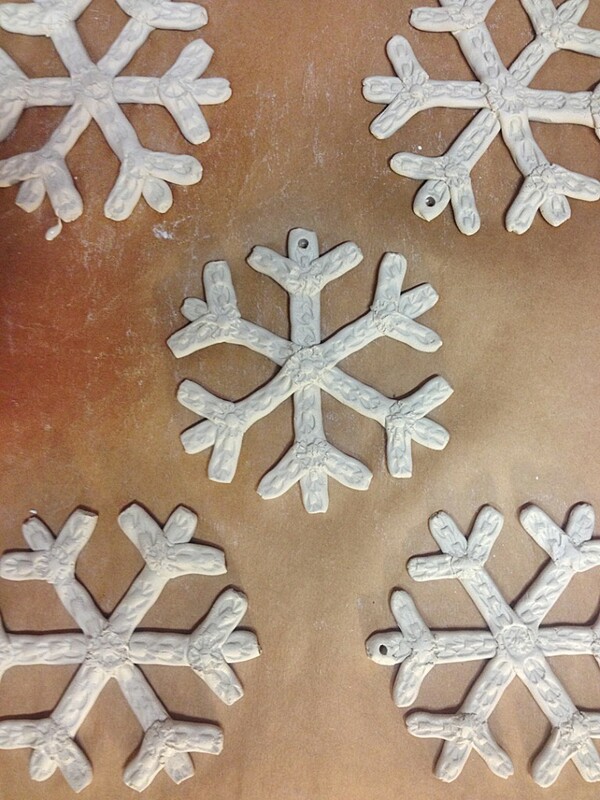 And for my February ornament, I’ve been making some porcelain snowflakes. The stamping is giving them a sort of knit texture. 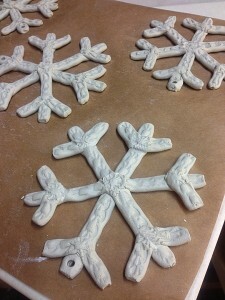 I’m hoping to glaze them with a clear glaze that will make them shine with a very slight cool blue hue. 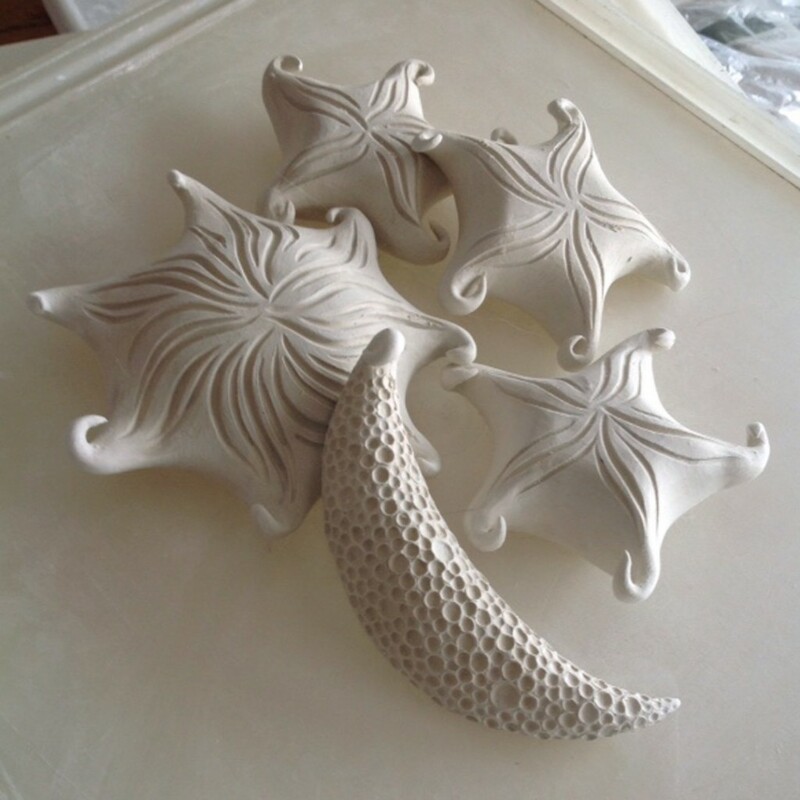 So there they are… the ornaments of My Talented Friends Cory, Sarah, Roberta & Amy. Be sure to check out their websites. They’re all in the LINKS section in the far right column. And they all have fun Facebook pages too. Find your favorites & follow them everywhere! And oh, but wait there’s more!!! 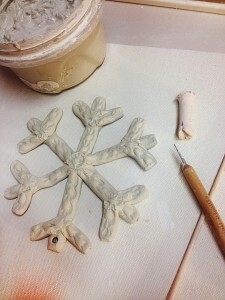 Remember, the ceramic folks have a little tougher time actually finishing their ornaments due to kiln firing schedules. 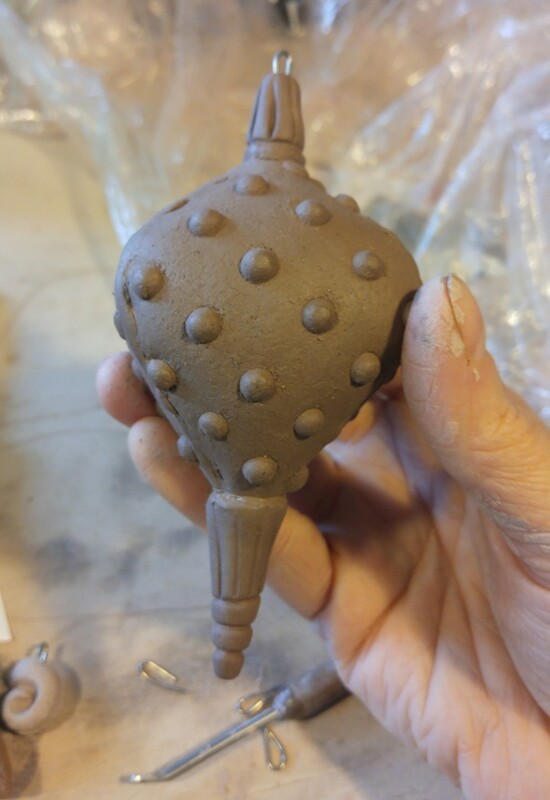 So we’re frequently posting the dried greenware versions monthly. And then, once they get glazed & fired, I’ll post the “finished” results here too. Like this one… a few finished January beauties from Cory McCrory!!! GOOD CATCH SANDRA – You are correct. Cory works with paper clay and fires to Cone 6. 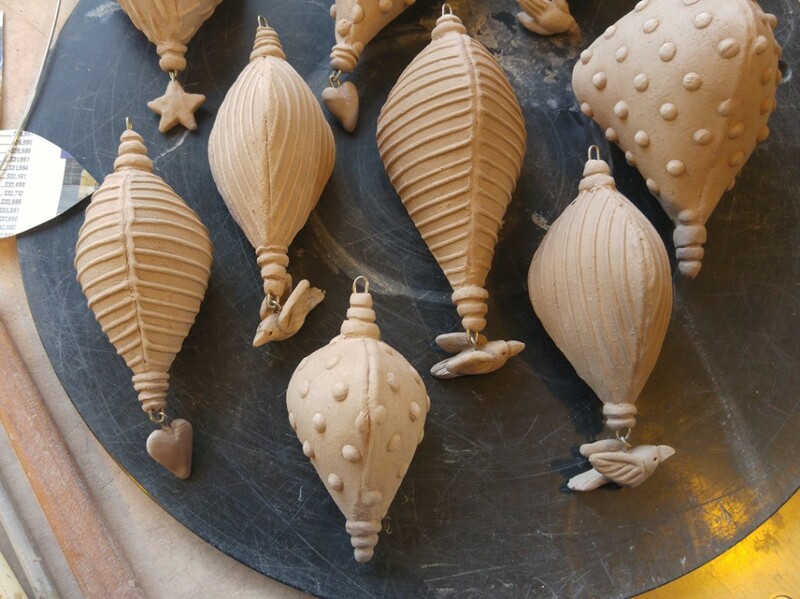 It is indeed a special wire that will be fired in the clay and become part of the ornament. 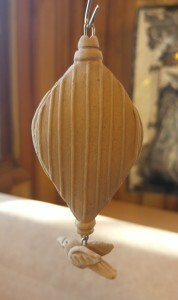 A lot of her clay pieces incorporate this wire… whether as a hook, a flower stem, a clothesline or so many other things!!! I know that they make special wire for all different firing temperatures. But I must admit I’ve never really checked into it too much. Do a “search” on my blog for Cory McCrory and it will pull up all of the posts with her work… and you’ll see a lot of her wire work mixed with her AMAZING paper clay!! !